This post was originally sparked by a post on Google+. The original post really didn’t delve into the e-book vs. physical book debate, but many of the responses were negative towards e-books. I’ll be the first to defend e-books because I strongly believe in technology. I’m an avid reader. And living nowhere near a decent library or a book store (yes, such places exist), it’s very difficult for me to keep reading without going broke and without having books stacked to the ceiling in my house. I already have boxes and boxes of books that never got unpacked from when I last moved three years ago, sitting around and collecting dust. I don’t read books so much as consume them. I have an addiction to being carried away to other galaxies and worlds and meeting new characters. And these boxes stand as testament to that. I bought a Nook when it first became available. Once I started reading e-books, there was no going back. I re-read many classics, which were available free, as well as other lesser known authors who were selling e-books at lower prices than those available at larger publishing houses. I discovered new works, writers like Joe Lallo and Emlyn Chand, who inspired me while writing my own book. And so, when it came time to decide to handle my own first book, I knew I would self-publish and go the e-book route. 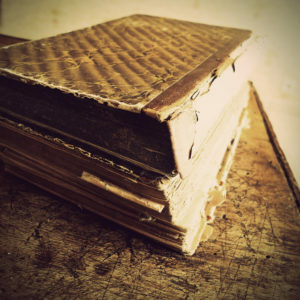 For those of you who argue that nothing can compare to the smell of a book or the feel of it in your hands, I cannot help but to think of those old, moldy and stinky books that I currently have sitting in my attic. But now I can pick up my tablet (which still does smell shiny and new), and how I can have a new story ready in the blink of an eye! Isn’t that wonderful? It opens up a whole new world of possibilities! And how many authors have I discovered because of e-books? There are so many of those who did not go the traditional publishing route because they did not want to give in to those large corporations who have a reputation of ripping off authors (seriously, it’s as bad as the music industry, if not worse). This year, most of the books I have read have been e-books by self-published authors and every single one of them has been better than many of the stories that do get published. Readers who refuse to read any e-books (and there are people still adamantly against them) are missing out on some wonderful writing. There is also the publishing industry, which is as bad as the music industry in many respects. A lot of what now gets published is “pop” literature, things that may not be written well, but that contain themes that are currently popular. Meanwhile, like indie music, other authors are self-publishing via e-books and should be supported in their endeavors. Why let the big corporations determine what we read? I never did understand resistance to technology. I suppose it’s the same as people not liking change. I’ve always welcomed it, especially if it means that someone like me can publish their first book without a lot of hassle. Technology has been good to me. Without it, my first book never would have been written. Without the support of online communities like NaNoWriMo, as well as other writers on social media, it would have never even occurred to me to finally sit down and write an actual novel. And e-books has given me another dream come true: having a book published and available for sale. So please, if you swear off e-books on principle alone, I ask you to reconsider. The year is 2012 and that change is coming, whether we like it or not. If only for me, I ask that you check out some e-books (the above two authors I mentioned are great to start out with) and discover new worlds you never could have imagined otherwise.